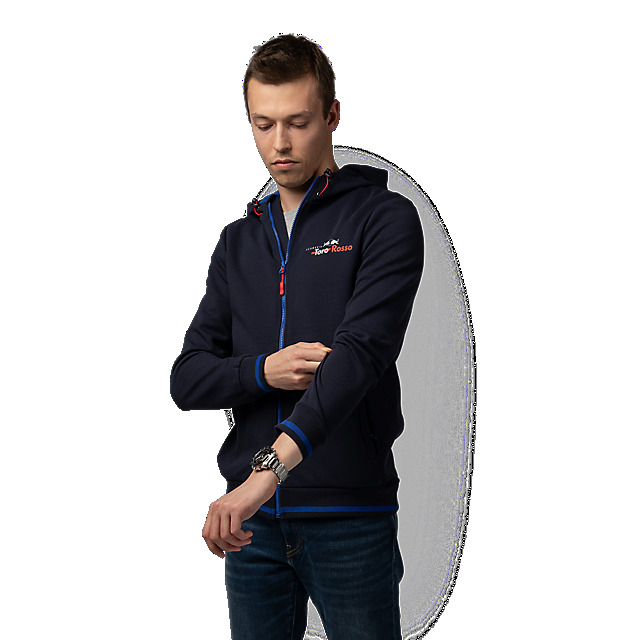 Wear your team pride in casual style with the Scuderia Toro Rosso Lifestyle Hoody. 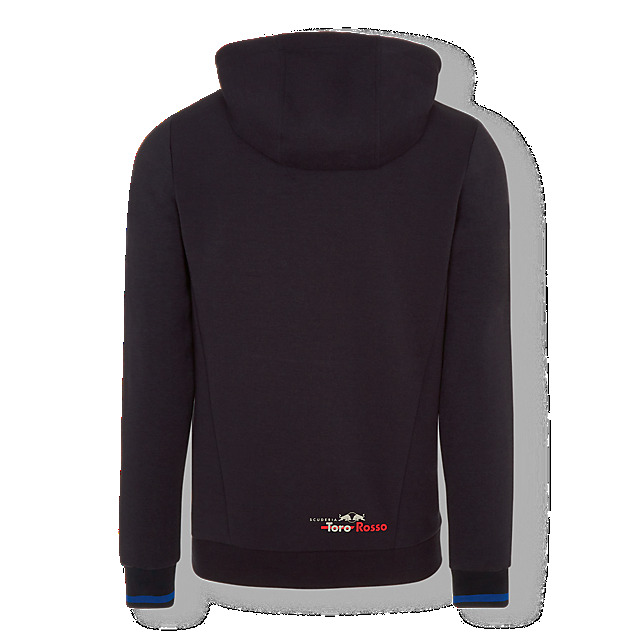 This sporty and comfortable everyday layer is inspired by the team and lands in navy with a contrast hood lining, full-length zip and sleeve cuff stripes in reflex blue, together with a Scuderia Toro Rosso logo on the chest. 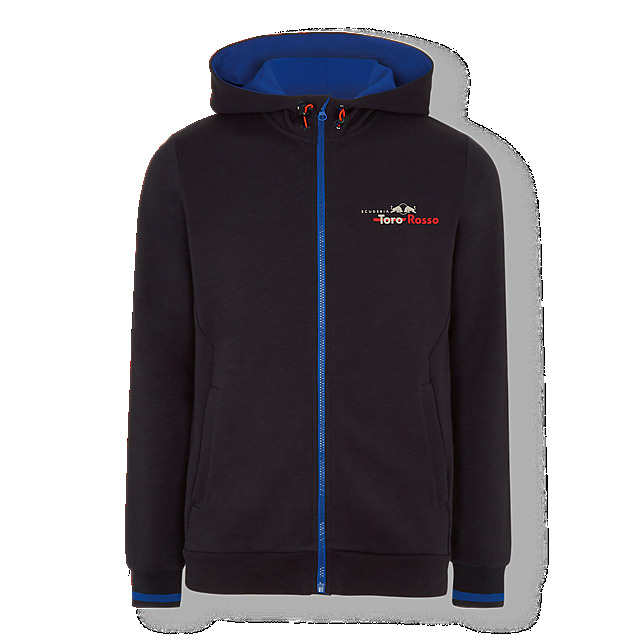 Side pockets and an adjustable hood will keep you cosy when the sun goes down.